Available from this year, the 11-25 combination is ideal if combined with CT™-type cranksets. 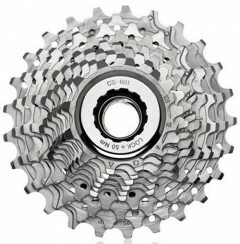 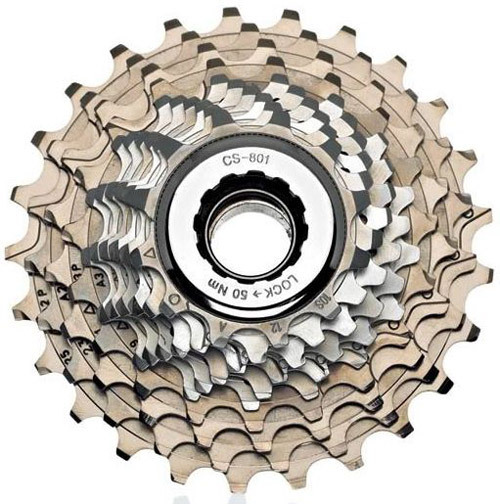 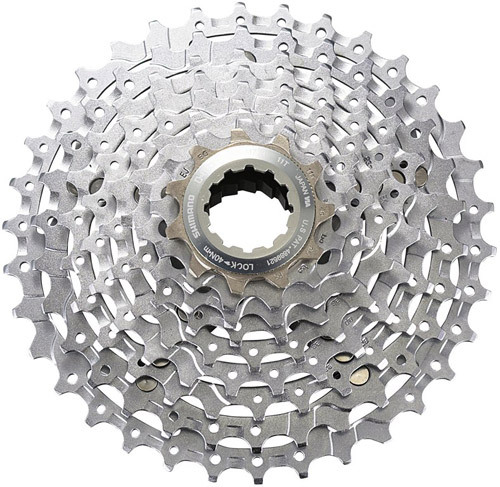 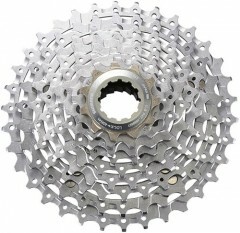 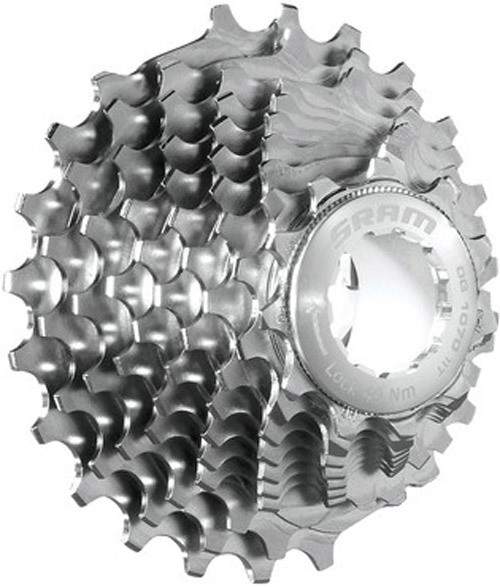 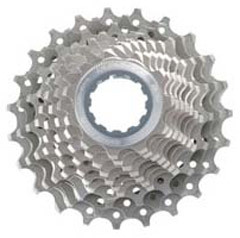 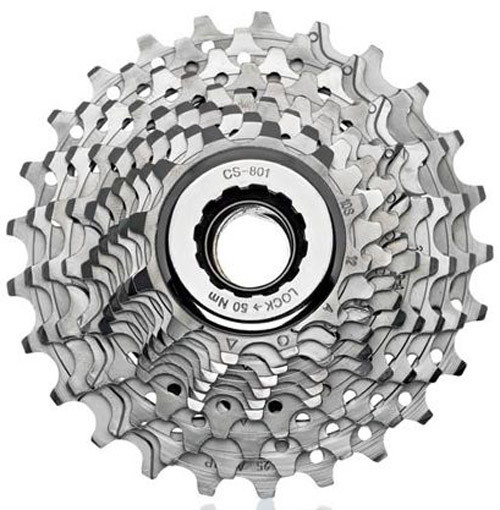 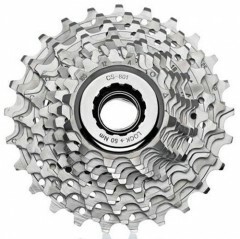 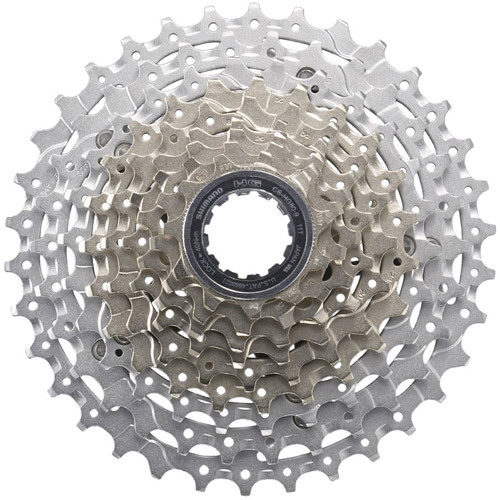 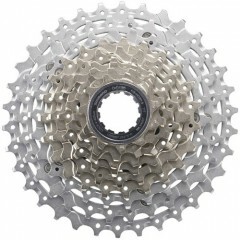 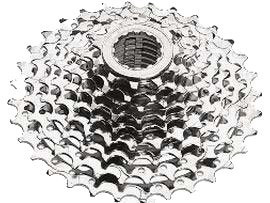 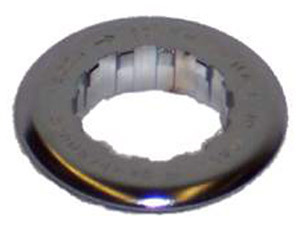 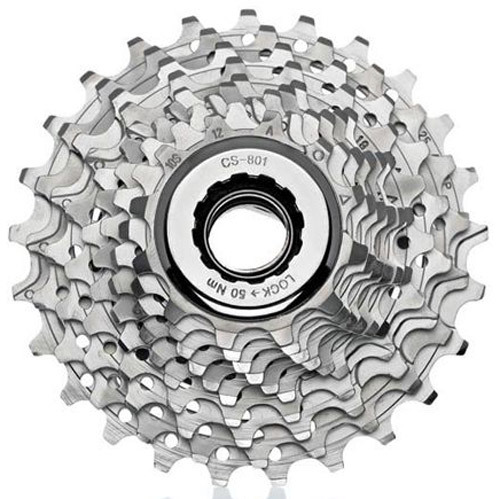 continue reading "Shimano Ultegra CS-6600 Cassette 10-speed from bike24.com"
The M10 Cassette can be used in several combinations as each cog is individually mounted. 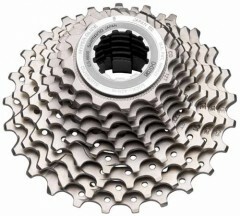 There are 4 different cassette kits to answer a wide range of combinations and each kit has a different start cog. 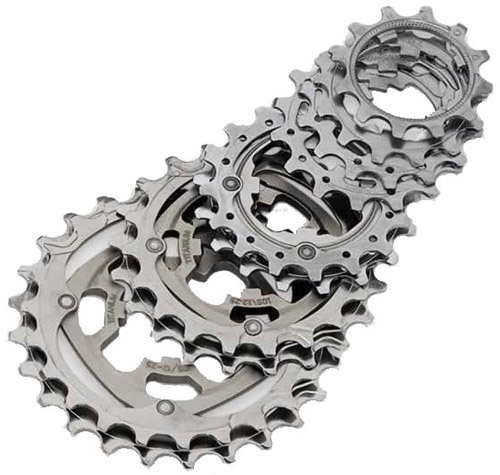 Kit n°1,11 tooth; kit n°2,12 tooth; kit n°3, 13 tooth or kit n°4,14 tooth. 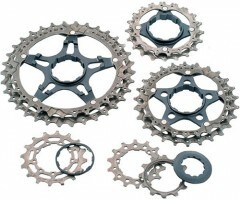 Kits 1 and 4 have 10 cogs, Kit 2 has 11 cogs and Kit 3 has 12 cogs. The largest cog of 27 teeth is included in kit n°3. Spacers are incuded in each kit, use yellow spacers for 9 speed and the black spacers for 10 speed. The M10 cassette can be mounted on Shimano HG type of free wheel body as well on a 10 speed Campagnolo.